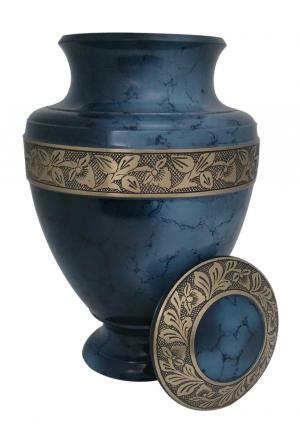 Midnight Iris Adult Blue Cremation Urn is designed with beautiful pearl inlays from skilled artisans work decorated on the pure brass metal. 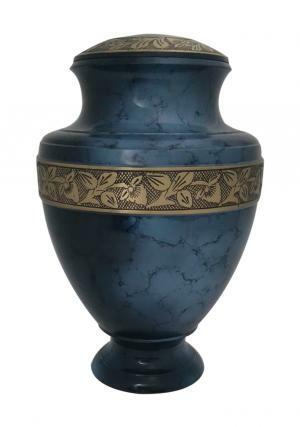 The Glossy blue pearl adult memorial ashes urn has brass band engraved in flowers has a classic presence. 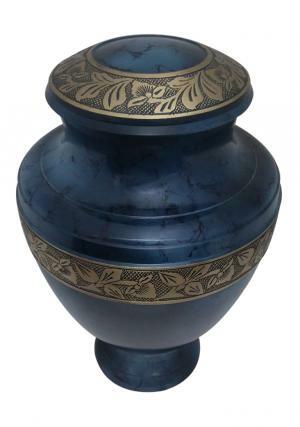 The Large Blue Funeral Urn fits into carry large amount of adult ashes approximately 200 cubic inch which is secured with a screw threaded lid for an easy closure of the urn. 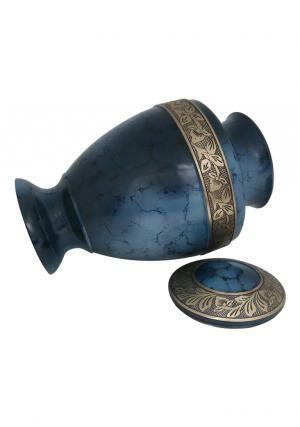 The lid of the adult si etched with floral brass and finished with smooth blue pearl enamel. 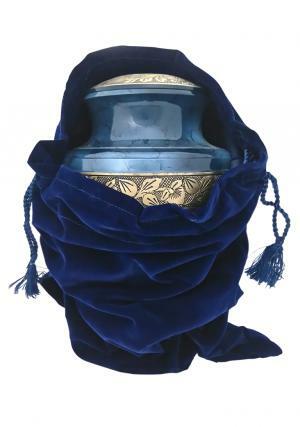 The Midnight Iris Adult Large Memorial Ashes Urn is measured to 10.6 inch tall, 7 inch width and weighs approximately 2.5 kg(Empty Urn).